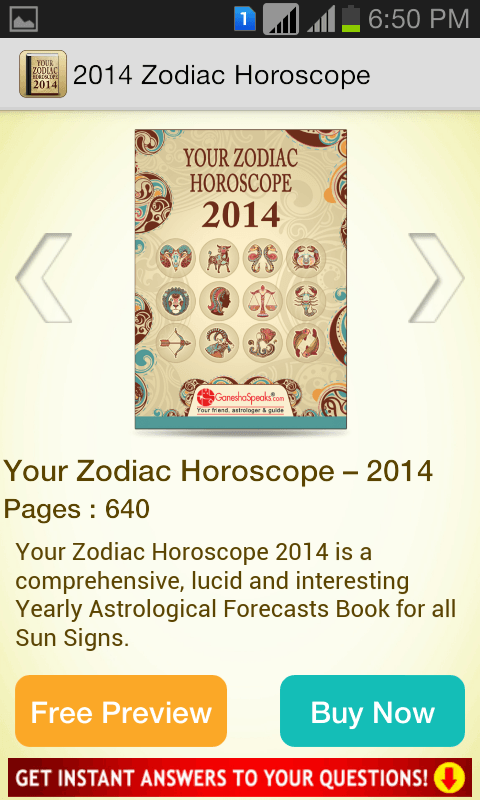 The Yearly Predictions Book by GaneshaSpeaks.com, Your Zodiac Horoscope 2015 is a detailed chronicle of all the predictions for the 12 Zodiac Signs for the year 2015 – given in an easy to understand, interesting and nicely classified manner. 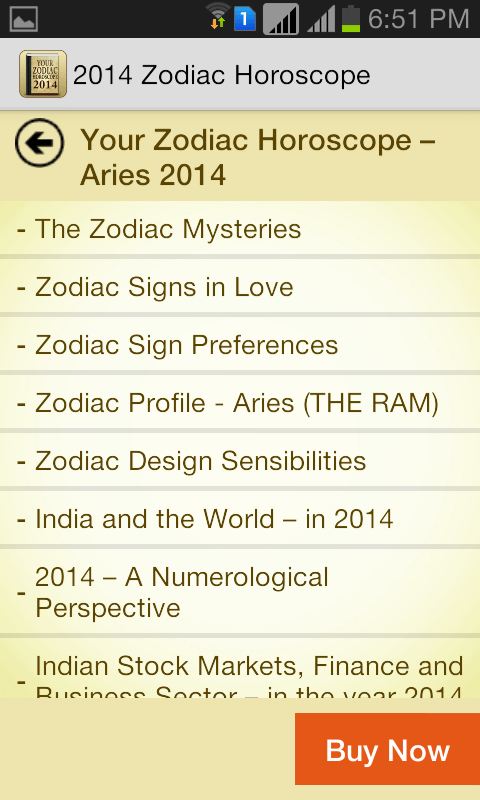 The annual, month-by-month and week-by-week predictions for each Zodiac Sign cover various practical aspects of life including love, career, job, business, health and more, and would help you make the most of the available opportunities in the year 2015. Plus, the book carries excellent and elaborative articles on Zodiac Sign preferences, tastes, likes, dislikes and characteristics. You can utilise this wonderful information to understand yourself and your loved ones, and enhance your happiness quotient. This special, classified and well-researched information on Zodiac Signs gives the yearly books a timeless appeal – you can make use of this even after the year is over, and the value of the predictions wanes. The authors of this book are The GaneshaSpeaks Team, the team of expert astrologers working with GaneshaSpeaks.com – India’s No. 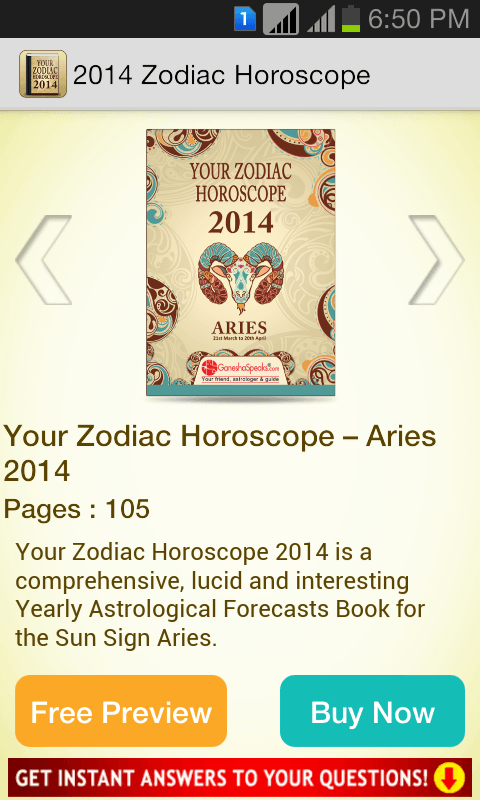 1 Horoscopes Portal, which is visited by over 5 million patrons each month. Since 2003, the portal has been consistently delivering personalised, Horoscope-based forecasts with very high accuracy, and has been a reliable and trustworthy friend, philosopher and guide to more than 1,000,000 patrons. The Book, available in 3 languages, English and two Indian languages Hindi and Gujarati. The English books are based on Sun Sign predictions, while the Hindi and Gujarati ones have been created with the Moon Signs (rashis) as the base. The mellifluous tones of aarti every morning encouraging you to face the day with intelligence, grit and grace. The same lovely aarti propelling you to clench a deal with success. And, in the night as you retire to bed, Ganesha aarti lullabying you to a peaceful sleep…. The soothing presence of your beloved deity Lord Ganesha in your life can be all- encompassing….Want that? Wish that? Now, it is simply a finger touch away…on your Smart Phone…via GaneshaSpeaks.com Ganesha Aarti Application…the first of its kind Get Ganesha Aarti, any time of the day, anywhere on your phone…Download Ganesha Aarti Application now!